Servant leadership is where it's at... by serving others and helping to empower them to be leaders we will all achieve more. Leadership is not about what I do, but rather about what I can help you do and what we can all do together. 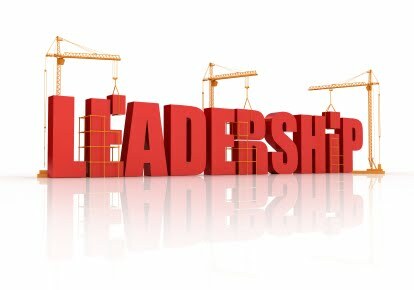 School leadership is evolving just as fast as our society, and as such school leaders need to move away from the "I and you" mindset to the "we and us" mindset. See @biebert @leadershipfreak @northeagles @ryanbretag @drtroyroddy for more on leadership. The power of knowledge is only as strong as what you make of it... by being well read and very knowledgeable you are positioning yourself to do great things. But simply having the knowledge doesn't really get you very far if you can't apply it and harness the knowledge in a productive and effective manner. Schools and society want people who can put their knowledge and expertise into practice; they NEED educators who can apply their skills to an increasingly diverse student population to enhance student learning and future success. Being "book smart" is a great start, but we need more and we need to take it up a notch... 2012 has great potential! Check out @mrbernia @azjd @cmcgee200 @plugusin for practical advice on putting knowledge and expertise into practice. Relationships... if you don't have strong relationships, then nothing else really matters. Make it a point to make this "THE POINT." Check out @mrwejr @henriksent @principalj @pernilleripp for more. Finally, try to be better than you were yesterday every single day of your life. Try to do something new every single day of your life. Try to build a new relationship with someone new every single day of your life. Try to be thankful for something in your life every single day of your life. Try to take a moment to reflect every single day of your life. Try to imagine a world that does not yet exist every single day of your life... Actually, the more I think about it, don't try to do all of these things, DO ALL OF THESE THINGS! Have a great 2012 friends! 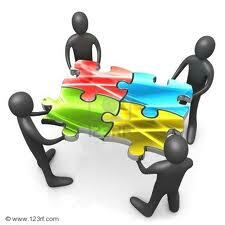 1) - How and what are you doing to build strong and enduring relationships with your students and staff? 2) - What are you doing very well? Where are you seeing a lot of success? Do you know why...? 3) - What are you not doing very well? Where are you not seeing a lot of success? Do you know why...? 4) - What are you doing to improve your craft? How are you ensuring that you will be better able to address your students' needs in 2012 than you were in 2011? 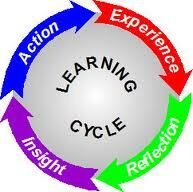 5) - In your absence, can your students and staff continue learning and growing? Do they absolutely need you to continue? 6) - Do your students and staff know the expectations? Do they have a part in establishing those expectations? 7) - Do you give your students and staff enough praise for the great things they are doing? 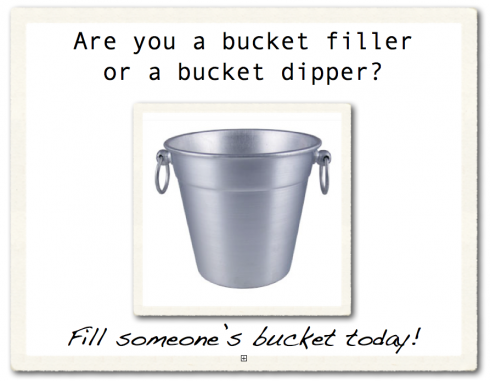 Are you filling the buckets of others? 8) - Do you practice what you preach? Do your actions speak louder than your words? 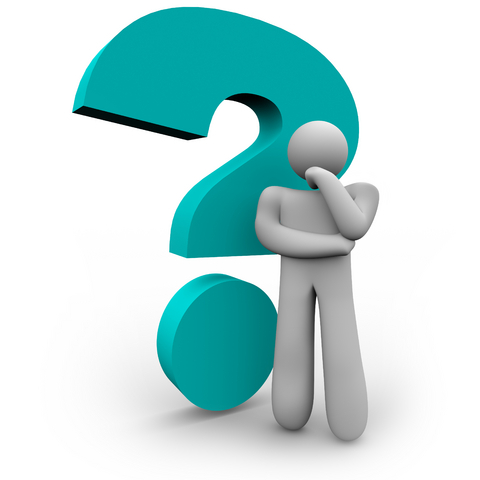 9) - What is the biggest mistake you made (educationally speaking) in 2011? What did you learn from this experience? 10) - If you never saw your students and staff ever again, what do you think they would say about you? 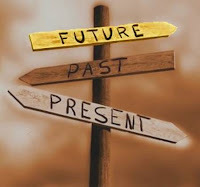 - What questions would you add for 2012? As a teacher this is something that meant so much to me, and now as an administrator I am seeing why. Teachers and students WANT AND NEED administrators to be visible and present. If that means you have to save your paperwork and other managerial duties until after school hours, then that is a sacrifice you need to be willing to make. Administrators talk quite often about being visible and present during passing time, during lunch, and during bus drop off and dismissal; it's time to stop talking about it and get to it. In my opinion, being visible and present are the most effective and powerful ways to change a school culture, so make time for it and make it a top priority. Every educator has a difficult job, and as a result we all need a little encouragement, support, and the occasional push from time to time. As an administrator, it is absolutely critical that we establish an environment that encourages teachers to take risks, while supporting them in their failures as they grow, and giving the occasional push to keep them moving after a setback. At PBJHS, I set up a professional development blog that shares different beliefs and perspectives. I have also led technology integration sessions to help teachers enhance their classroom environment through technology. These structures provide the initial fuel for trying new things, but alone they are not enough. I also ask to be invited to observe when teachers try new things so as to help the teachers troubleshoot any issues or problems that may arise during the lesson. This helps me to continue learning, while also supporting the teacher in their push to try something new in their classroom. The more teachers who invite you to observe a new activity or lesson the better. If you are not receiving any invites or hearing from teachers who are trying new things, it's a safe bet they aren't trying anything new. I don't know everything. In fact, I don't know most things. In fact again, there is a lot about education that I don't know and don't understand. The learning process is a lifelong process, and in order for administrators to keep their staff growing and learning, we need to not only help provide the structures and opportunities for growth, we need to model professional learning and growth ourselves. I regularly attend conferences, I use Twitter, I have a blog, and I collaborate with educators from around the world on ways to improve and enhance my craft as an educator. This is absolutely CRUCIAL if you expect any of your colleagues to put their professional growth as a top priority. I share my growth with my colleagues through weekly emails and casual conversations. I lead a professional studies book club that encourages staff members to reflect and discuss their classroom practices in an effort to improve. Education is not an 8-3 job, and if we want and expect educators to continue growing and improving their craft, we need to lead by both sharing and showing that our learning never stops. If I hear a positive comment about a teacher, I share it with the teacher. If I see something awesome in a classroom, I share it with the teacher. If I see a student do something nice or polite in the hallways, I recognize it in front of the student's peers. If a teacher or student helps out with organizing or planning something, I let them know how thankful I am for their hard work. I normally spend about 30 minutes 2 nights a week sending out positive emails to staff. Sometimes I receive a response, and other times I do not, but I do know that several staff members per week start their days off right by reading a positive email. As long as your appreciation and thankfulness are sincere, you will never have to worry about giving too much thanks and recognition. We all enjoy the occasional "thank you" email or talk, so make sure this is a priority and start filling the buckets of others! What's your advice on school leadership that works...? Having or involving such knowledge or skill. What are you doing with your "rocks?" Last week my school district was visited by a team of educators from the Hallsville R-IV School District. Since my district is in year two of implementing Professional Learning Communities, we are interested in hearing from other districts on how they got started and their advice as we move forward. Though there was a lot of great information and advice shared, there was one particular conversation that really stuck out in my mind. As we talked about moving forward with PLCs, the topic of resistant and unresponsive staff came up. As with any new initiative or process, success or failure ultimately lies with those who are actually implementing and seeing the initiative through. I think if you have ever worked in a school system, you know that there are those staff members who never seem to be "on board," and wish to view everything in a negative and pessimistic way. These so called "rocks" can derail any initiative well before it even gets started regardless of how good it may be. These "rocks" can become permanent roadblocks to growth in any system, and if not addressed both delicately and appropriately, will slowly eat away at the heart of any organization. 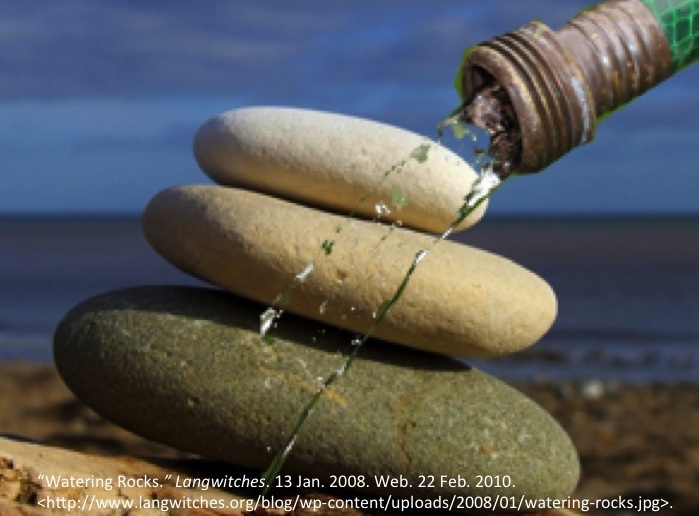 @shannoninottawa wrote a great blog post titled, "If we don't water the rocks..." and she makes a point to focus on trust and finding out why those rocks are resisting. Shannon insists that if we don't "water the rocks," then we are choosing "the easy way out and nobody learns and nobody moves forward." As part of the #edfocus book club chat that takes place every other Wednesday, we read Anthony Muhammad's "Transforming School Culture: How to Overcome Staff Division." The book categorizes members of an organization into 4 different categories: the believers, the fundamentalists, the tweeners, and the survivors. Muhammad really emphasizes the importance of knowing who you are, as well as who your colleagues are in terms of these 4 categories. Here is a great blog post written by @cmcgee200 that relates to this book and a situation that happenend to him; "Don't forget your place." What are you doing with those "rocks" at your school? Do you take Shannon's approach and work with them to understand them and their reasons for resisting, or do you move on and use your limited amount of time and resources on those who are more willing? What do you do with those "rock" students...do you only help those who are easily taught, or do you commit the extra time to really find out what's causing the resistance? 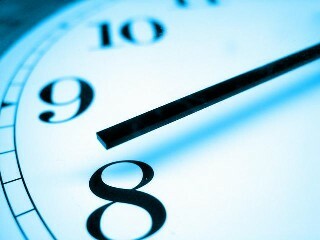 Time, energy, and resources are limited... use them wisely. A school district of 1,000 students or a school district of 30,000 students is extremely complex. From the simplest procedures all the way to the most complex and intricate procedures, many hands are involved in every decision and ultimately help make sure the "average" school day takes place...if there is such a thing as an average school day. Before I even wake up on a given morning there are people working to make sure the buses are safe to transport students, there are people doing repairs all throughout the district, there are people coordinating before school programs, there are people arranging subs for sick teachers, and there are people preparing food to feed our students upon arrival to school. My point is simple; as an educator I would not be able to do my job if these often "forgotten and under appreciated rockstars" were not doing their jobs. When you work for a school district it is important to remember that we are all working toward the same goal. We are here to create a safe, positive and encouraging environment, that promotes lifelong learning so as to prepare our students to be successful democratic citizens. So, in this time of the year when many of us are thankful and cheerful about what has been and what will be, please remember to recognize and appreciate those around you who help make it all possible. Be sure to pass this message along by showing your appreciation and gratitude! As an assistant principal I am required to make a lot of decisions on a daily basis. Sometimes I am provided all the necessary background information to make the proper decision, other times I am expected to make a decision with very little or limited background information. Sometimes the decision must be made immediately and there is no time to gather further background information, other times I have the opportunity to investigate and give the decision the proper time it deserves. I make a lot of decisions on a daily basis, and no matter what happens, there will always be those who agree with my decisions, and those who disagree with my decisions. As educators we all make tons of decisions on a daily basis, and as a result we are questioned, judged and evaluated on the basis of our decisions. What's your philosophy on making decisions? 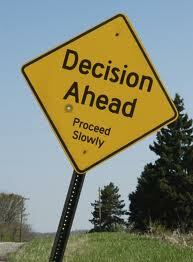 What strategies do you employ when making decisions that will affect others? How do you respond to the decisions that directly affect you...especially those you might not agree with? Jeff Shanley – former CEO, now head of business development, a natural networker who was effective at raising money and recruiting talent, but management was a different story. Michele “Mikey” Bebe – head of marketing, known as a brand building genius, but the least popular person on the Decision Tech team. Martin Gilmore – head of engineering and the designer of the Decision Tech flagship product. His lack of engagement had become an irritation to the others on the team. Jeff Rollins (JR) – a prototypical sales person who rarely followed through on commitments. Carlos Amador – a very engaged, thoughtful contributor. 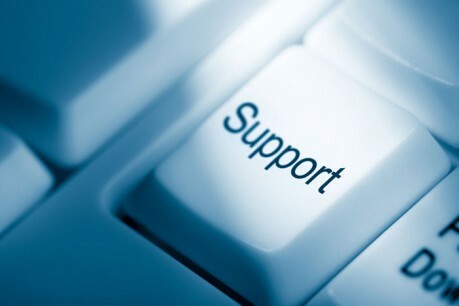 Though his customer support role was not “fully developed,” he took responsibility for product quality. Jan Mersino – as CFO, she was a key player at DecisionTech – a company with plans to go public. Nick Farrell – his undefined role didn’t match his impressive title – COO. Given the company’s slow start, he had little meaningful day to day work. He saw himself as the only executive on the team with the ability to take over the CEO role. - What were the main weaknesses that Kathryn immediately noticed with her new team? How would you describe a typical meeting at DecisionTech before Kathryn’s arrival? - What are the characteristics and qualities of a “good” and effective meeting? How can we make sure we have “good” and effective meetings here at our school? - Can you associate yourself or somebody you know with any of the characters presented thus far in the story? - Pg. 30 – Email versus face-face conversation – when is one okay and not the other? Are you guilty of this? - Pg. 44 – “Great teams do not hold back with one another; they are unafraid to air their dirty laundry. They admit their mistakes, their weaknesses, and their concerns without fear of reprisal?” How do we create an environment where you can voice your concern without fear of reprisal? - Pg. 65 – “It sounds like your strength and weakness are rooted in the same things.” Do you agree with this statement, and if so, how can we use this information to our advantage? - Pg. 79 – Revenue, expenses, new customer acquisition, current customer satisfaction, employee retention, market awareness, product quality were listed as the team’s “scoreboard.” Is this applicable to education? How often should we check the “scoreboard?” Daily, monthly, biannually, annually……? - Pg. 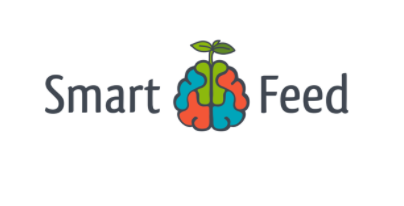 81 – “Your department cannot be doing well because the company is failing and if the company is failing then we are all failing and there is no way that we can justify the performance of our own department.” Is this true in education? Is this true at our school? - Pg. 92 – “It’s the lack of conflict that’s a problem.” Do we have conflict in our staff meetings? PLC? - Pg. 95 – “They just need to be heard, and to know that their input was considered and responded to.” Are your opinions and ideas heard? How do we establish an open arena to discuss our ideas at our school? - Pg. 137 – “When a company (school) has a collection of good managers (teachers) who don’t act like a team, it can create a dilemma for them, and for the company (school).” Do we have this at our school? In your department? - Pg. 153-159 – What did you think about Mikey’s departure from DecisionTech? How do we deal with somebody who is obviously good at their job, but detracts from the overall effectiveness of the team? - Pg. 175 – At one of the last off-site visits Nick proclaimed that the biggest issue that needed to be addressed was the avoidance of accountability, which ultimately leads to low standards. How do we prevent avoidance of accountability at our school? Within our departments? Within our classrooms? - How can we hold our colleagues more accountable without creating conflict? Is it our job to hold our colleagues accountable? If we are creating conflict for the betterment of the school is the conflict justified? - What is your reaction to the idea that the larger the unit, the smaller the leadership team needs to be? Do we have small leadership teams at our school? Are these small leadership teams more effective than one overlapping leadership team? Why or why not and how? - Do you see yourself as any of the characters presented in this book? Can you still contribute to the success of your team even if you posses less than stellar team qualities? - What specific skills and strengths did Kathryn possess in developing the leadership team at DecisionTech? - How do we develop the skills and strengths that Kathryn demonstrated for her team?……applicable to schools? 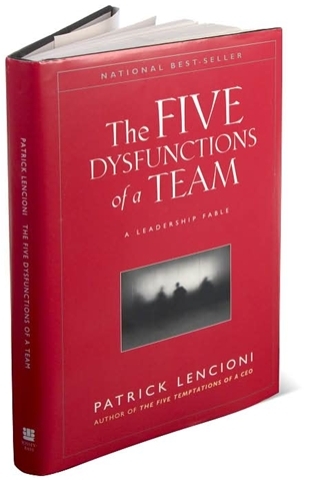 - How and why does a book like The Five Dysfunctions of a Team continue to be on the best seller-list after 7 years of being published? - What were your key take away points from this book and why/how are they significant in your life or work? - How do you respond to negativity? What strategies do you employ to keep negativity out of your life? - Do you ever find yourself being overly negative? Do people view you as a positive or negative influence? - How often do you receive recognition and praise? How did you feel afterward? Do you deserve recognition and praise for doing your job? - How do we prevent overly negative people from spreading their negativity? - “It is possible for just one or two people to poison an entire workplace.” Pg. 25 - Do you believe this? As a member of an organization, do you feel comfortable giving one or two people that much power? - Remember a time when you got good news, praise, or recognition that filled your bucket…how long did it take before a negative person emptied your bucket? - As educators, do we focus on the strengths or weaknesses of our students? Do you agree with Rath’s belief that we should concentrate on what people do well, rather than what they do not do well? - “Positivity must be grounded in reality.” Pg. 45 - Is it possible to give too much praise? Do we ever give insincere/artificial praise? Is there a difference between insincere/artificial praise… and lying to avoid confrontation or hurting one’s feelings? Chapter 4: Tom’s story: An overflowing bucket? - Is being born a negative person a valid excuse when emptying the buckets of others? If our natural disposition is to be negative, can we change? - “I was able to strive for greatness in my area of natural talent.” Pg. 55 - Do we help our students find situations and circumstances where we know they will be successful and excel? 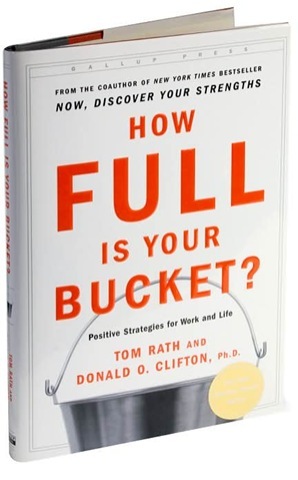 - Do the people you spend a majority of your time with help to fill your bucket? - “Recognition is most appreciated and effective when it is individualized, specific, and deserved.” Pg. 62 - How can we make sure we provide individualized, specific, and deserved recognition for all of our students? - How would Rath respond to a teacher of the month award? Are these awards effectively recognizing and praising teachers in an individualized, specific, and deserving manner? 1. 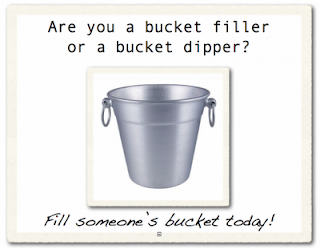 Prevent bucket dipping: Ask yourself…am I adding to or taking from the bucket? 2. Shine a light on what is right: Do you concentrate on success or failure (strengths or weaknesses)? 3. Make best friends: Friends help add to and build up your bucket. 4. Give unexpectedly: Small unexpected bucket fillers can have a huge impact. 5. Reverse the golden rule: Put the needs of others before yours…take care of their bucket, and they will take care of yours. 1. Why look at great? - What are the characteristics of “great” teachers? 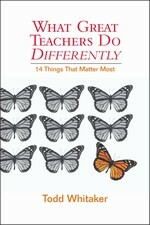 - Most administrators believe they would be better teachers if they ever returned to the classroom…why? - School districts put a lot of emphasis on new programs and initiatives? Do school districts put the same amount of emphasis on developing teachers into “great” teachers? - Can you think of any examples where two identical programs were being led by two different leaders with two different levels of success? Why was one program more successful than the other? - Are student expectations clear in your class? - Are teacher expectations clear at your school? Do teachers need clear expectations? - What strategies do you use to make sure there is transparency, as well as clear expectations in your class? 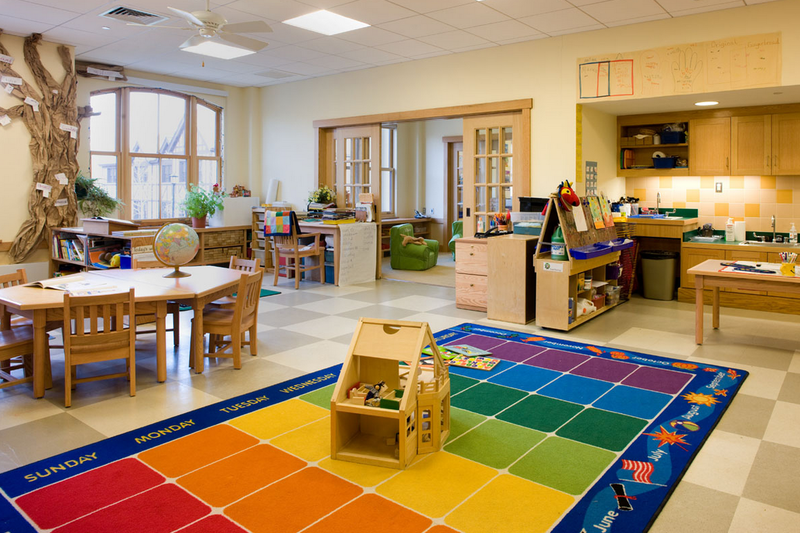 - What are the most successful classroom management strategies you use? Why are they the most successful? 5. High expectations – for whom? - How do you know if your expectations are too high or too low? Is it possible they can be too high? 6. Who is the variable? - When something goes wrong in your class (behavior, homework completion, quiz scores) who do you blame? 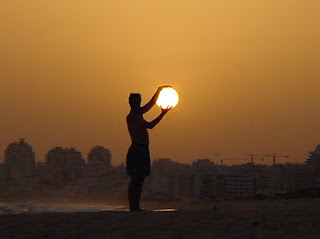 - Passing blame also passes power… are you prepared to give your power away? - How can we make sure we treat all students and colleagues with respect and care? - How do you cope with a bad day in the classroom? How do you hide your true feelings from the students? - How do you set the tone in your classroom? Do you realize how powerful your attitude is? - “When the teacher sneezes, the whole class catches a cold.” Pg. 56 Do you agree with this? - Do you agree with Whitaker’s take on the teacher’s lounge? - Building strong relationships with staff and students is essential to being a “great” teacher. - Is the “highway patrol example” applicable in the education setting? - Do we always reinforce appropriate student behavior in our classrooms? - How do you determine which comments or behaviors to ignore, or not to ignore? - Is it appropriate to ignore one student and recognize the behavior of other students to teach what behaviors are acceptable? - Do you plan to use all 50 minutes of class every single day? Does this require more work on your part? - What strategies do you use to be proactive instead of reactive in terms of classroom management? - What did you think about the faculty meeting example? Do you see this at your school? Positive/negative effect? - “Great” teachers worry about what their best students think. Should we only worry about our best students? - Are you guilty of using blanket statements with your students? - Why do most teachers/students/administrators use blanket statements? 13. In every situation, ask who is the most comfortable and who is least comfortable? - When dealing with students and staff members do you consider the ramifications of your words on others? - Do you feel comfortable in your current position? Do the “great” teachers at your school feel comfortable? - Do your great students feel comfortable when you are addressing an issue with your class? 14. What about these darn standardized tests? - Whitaker sees some value in standardized testing… how can we use standardized testing as a tool in our classrooms? - In your particular class, do you feel that standardized testing is emphasized more than actual learning? - “Great” teachers teach all students to care, and as long as the teachers are acting in the best interests of the students, they can do no wrong… how can we make this applicable in the classroom setting? - Are you prepared to accept the responsibility of making your school a “great” school? Last Friday marked the last day of the 1st quarter of the 2011-2012 school year at Poplar Bluff Junior High School. It also marked the end of the first quarter of my career as an administrator. The past 9 weeks have been quite an experience to say the least. I have helped get some great things started and I have also made several mistakes, but most importantly, I have learned a tremendous amount about relationships, leadership, support, and what it takes to keep a school moving forward. What have you learned so far this school year...? If you do bus duty in the morning do you see it as an opportunity to greet each and every student with a smile to ensure their day at school starts off right, or do you see it as just another short straw that you have drawn...? Does what you really see match up with what you really want to see? Does what you really see match up with what's best for your students?